Everyone here at Opera Central is super excited about our opera for children, Pinocchio! 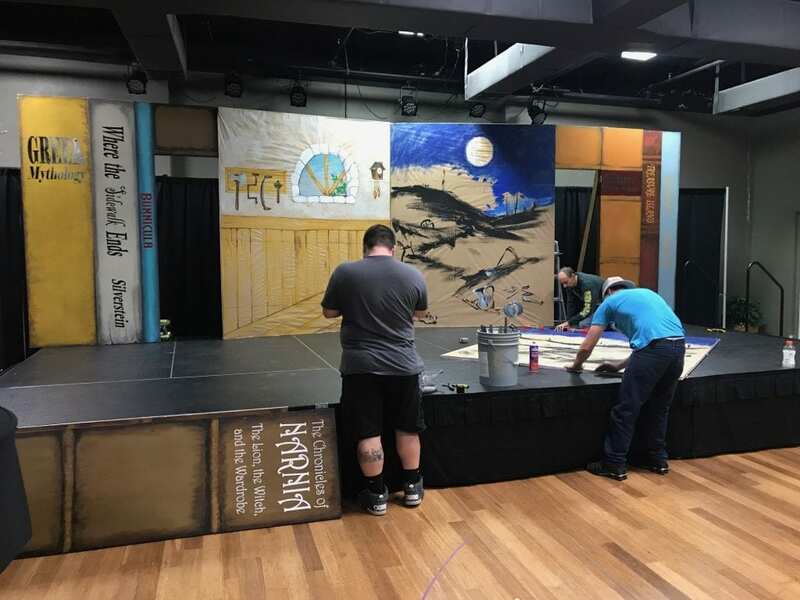 Sunny Spaces, our set designer and builder, is hard at work perfecting the set in Preis Hall, and Maestro Sforzini has assembled a fantastic cast both local and from afar to put on this fun & interactive show. Featuring music from your favorite opera composers like Mozart, Donizetti, Verdi, Offenbach and more, Pinocchio is sung in English and set to a whimsical version of the story we all know and love. We first mounted the Pinocchio production last year with a group of fantastic local singers (some of whom will return again this season), and accompanied by piano. This year, Pinocchio will be presented with a small chamber ensemble conducted by our new Assistant Conductor and Chorus Master, David Štech, and we’re super grateful to Creative Pinellas, Cynthia Faulhaber, and our very own St. Petersburg Opera Guild for their support. With our small staff and many volunteers, we are so fortunate to be able to pursue our educational mission more and more every season! We love opera, and think you should, too. Due to popular demand, we will also be presenting an additional three Pinocchio performances to the public this season. You’ll definitely want to bring your kids, grandkids, and yourselves to see this fun classic story set to favorite operatic tunes (November 11, 17, and 18th)! November 11th is nearly sold out, so visit our ticketing page here or call the box office 727-823-2040, ext. 1 to get your tickets in advance. Excited, yet? If not, check out this great video from last year’s Pinocchio performance!